Leading Manufacturer and Exporter of Industrial Gasifier Plant such as Gasifier Plant, Industrial Gasification Plant, Coal Gasification Plant and Coal Gasifier from Vadodara. 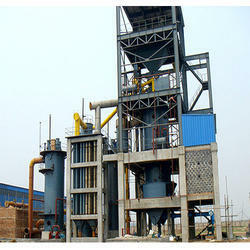 We have wide reputation as prominent manufacturer and supplier of Gasifier Plant. These plants are widely accepted in the market for their efficiency in converting fossil fuels into gaseous fuels owing to their sturdy design and exceptional working efficiency. Designed and fabricated as per latest industrial norms in varied specifications, these are supplied to customers at reasonable price tags. 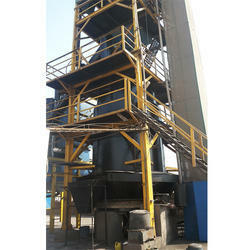 Reciprocating grate cleaner, strong ability to break and loosen slags to ventilate with slim chance of slag bonding. Special ash grate design: grate protected by low temperature slag to prolong the grate's service time explosion preventing grooves at the part of ash hopper: apt to react and safe to use reduced manufacturing cost by combination of air producing and heating equipment. Energy cost saving up to 70% less than electricity, 40-60% less than oil,30% less than gas. Substitution of expensive fuels with cheap solid fuels. Superior process control, productivity over direct combustion. Temperatures upto 1300°C by optimal air pre heating & pre-mixing of air with producer gas. At KINC, we merge our industrial exposure and the most effective energy saving, environmental protection technologies into product to offer clients the most optimized fuel supply solution. An Important part of KINC's research is to work towards a reduction in the costs and risks associated with widespread upstake of gasification based systems. Introducing India’s most energy efficient, economic, environment friendly world class technology based gasifier versatile fuel option; coal, lignite, charcoal and biomass such as wood, rice husk, coconut shell. We provide Industry proven, Coal-Gasification project development services, manufacturing services and on-line detection system. KINC Mineral Technologies introduces, the most economic, advanced yet simple & most energy efficient Gasification Plant to serve the today’s industry’s prime necessity i.e. cost of energy. As a result of merge our industrial exposure and the most effective energy-saving, environmental protection technologies into product to offer clients the most optimized fuel supply solution. 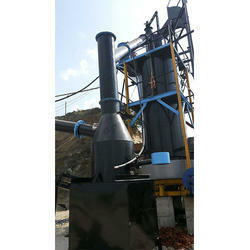 We offer wide range of Gassifier from 2.0Lakh Kcal/hr to 70.0Lakh Kcal/Hr. Complete system is environment friendly and as per norms of CPCB. KINC Mineral Technologies introduces, the most economic, advanced yet simple & most energy efficient Gasification Plant to serve the today’s industry’s prime necessity i.e. cost of energy. As a result of merge our industrial exposure and the most effective energy-saving, environmental protection technologies into product to offer clients the most optimized fuel supply solution. 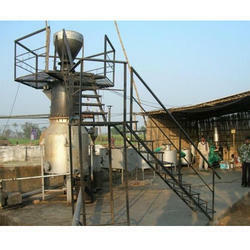 We offer wide range of Gassifier from 2.0Lakh Kcal/hr to 15.0Lakh Kcal/Hr. Introducing India's most energy efficient, economic, environment friendly world class technology base gasifier versatile fuel option; coal, lignite, charcoal and biomass such as wood, rice husk, coconut shell. Gasification is a process that converts organic or fossil fuel based carbonaceous materials into carbon monoxide, hydrogen and carbon dioxide. This is achieved by reacting the material at high temperatures>700 °C, without combustion, with a controlledamount of oxygen and/or steam. The resulting gas mixture is called syngas (from synthesis gas or synthetic gas) or producer gas and is itself a fuel. Energy cost saving up to 70% less than electricity, 40-60% less than oil,30% less than gas. Substitution of expensive fuels with cheap solid fuels. 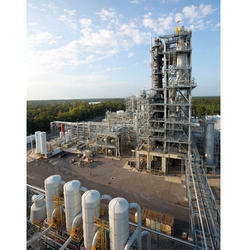 Superior process control, productivity over direct combustion. Temperatures up to 1300°C by optimal air pre heating & pre-mixing of air with producer gas. At KINC, we merge our industrial exposure and the most effective energy saving, environmental protection technologies into product to offer clients the most optimized fuel supply solution. An Important part of KINC's research is to work towards a reduction in the costs and risks associated with widespread up stake of gasification based systems. 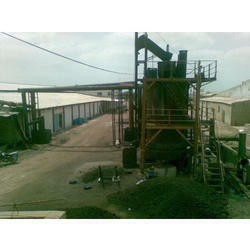 Looking for Industrial Gasifier Plant ?